Former Bayelsa state governor, Diepreye Alamieyeseigha is dead. He died of Cardiac arrest today at the University of Port Harcourt Teaching Hospital. He was reported to have gone into a coma two days ago and was placed on life support but didn't make it. Evangelist Mike and Gloria Bamiloye of Mount Zion Movies and Film Productions are celebrating their 27th year wedding anniversary today. To mark the occasion, Mike Bamiloye shared a major throwback of his wife and further shared a story that we can all learn from. He narrated how food finished and wasn't enough for guests during their wedding and how God miraculously provided for them like he did during the wedding in Cana (in the Bible). 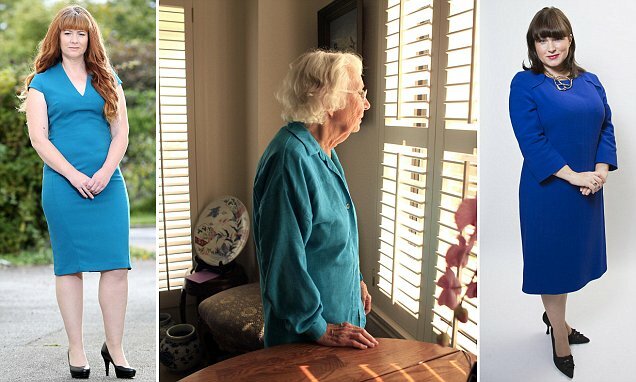 From her mother’s osteoporosis, which makes it a struggle to climb stairs, to her father’s heart condition, Andrea Gould is acutely aware of her elderly parents’ failing health. Every day, her mother texts Andrea, 39, to check how she is and calls her once a week so they can exchange news. However, for more than 15 months, Andrea has been unable to find the time to visit her parents, who live 200 miles away from her. Floyd Mayweather's massive car collection lost a few top-notch vehicles this week after a trailer transporting the boxer's Bentley, two Rolls-Royces and a customized Jeep burned to the ground. 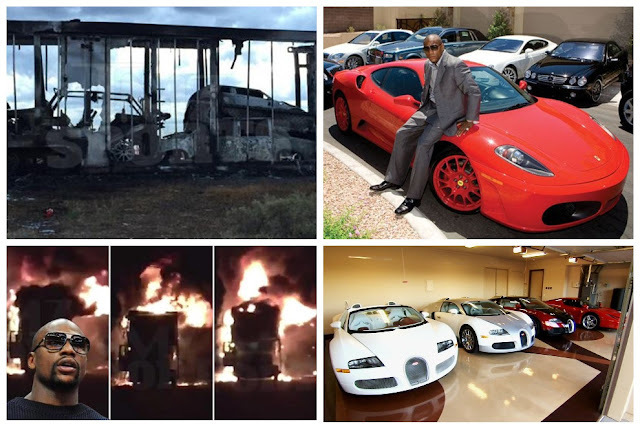 The truck was carrying several of the boxer's cars from Las Vegas to Miami when it became engulfed in flames just after 1.30am on Wednesday. No injuries were reported in the blaze, the cause of which is being investigated by Arizona State Troopers, according to TMZ. 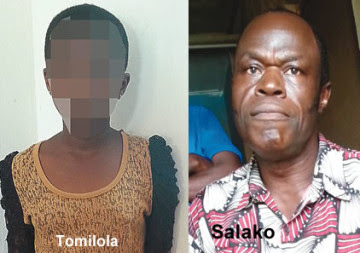 The teenager was raped by her stepfather, 60-year-old Joseph Salako and were sent packing after her mom confronted him and raised the alarm. Former governor of Rivers State and ministerial nominee, Rotimi Amaechi, last Tuesday night visited Senate President Bukola Saraki where he begged the latter to help clear him ahead of the ministerial screening which starts next week Tuesday. Amaechi arrived the Maitama, Abuja residence of the Senate President at about 11:45pm and left at about 1am, last Wednesday morning. 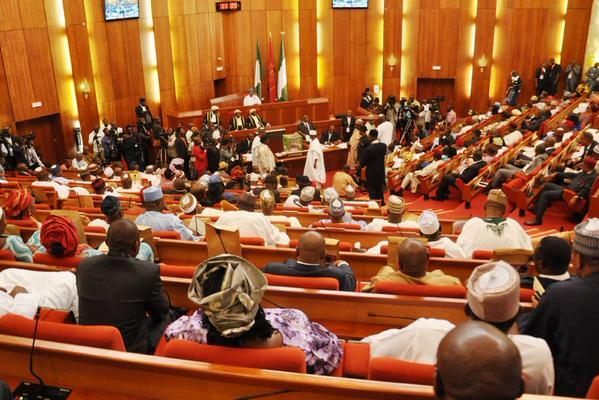 Ministerial nominees have intensified their lobby for the Senate’s clearance since the release of their names. The Senate must screen and confirm them before they could be sworn in. Sometimes teachers just get fed up and must go to extreme lengths to get their seemingly simple points across. 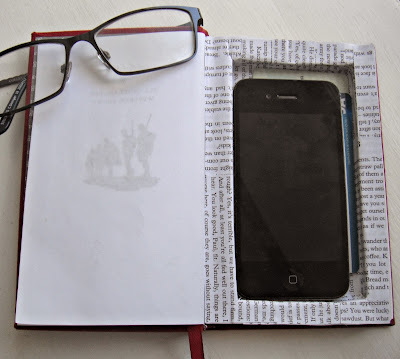 In this case, the point is Don’t use your phone in class. Simple enough, right? Apparently not. This cruelty to animals is a very serious matter and a country cruel to animals is certainly not going to be kind to its own people. There is an urgent need to enact laws and guidelines against animal cruelty.On a second thought maybe we should not be so quick to press our cultural ideologies on others, not everyone has the privilege to worry about animal rights. 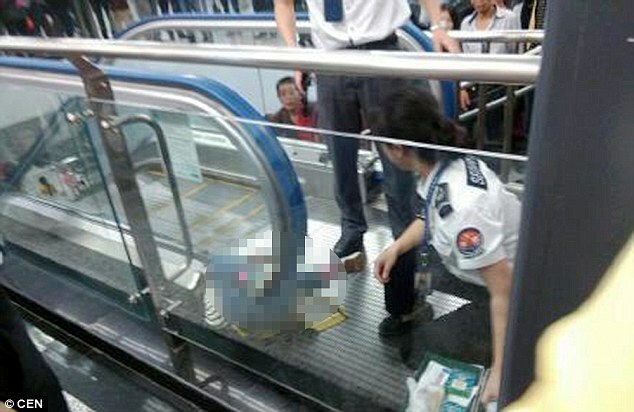 A young child lost his life after he was caught in an escalator at a train station in Chongqing on Thursday, Oct 8. The incident occurred at about 11am. The child, a four-year-old boy, had been playing near an escalator when he got stuck between the escalator's handrail and the ground, Chinese news portal NetEase reported. The Police Commissioner in the state, Mr Aderemi Opadokun, stated this while speaking with newsmen in Maiduguri, the state capital. Opadokun said, “There was an explosion in Gubio about 85 kilometre to Maiduguri at about 0550 hours (5.50am) on Wednesday when four suspected suicide bombers in military uniform infiltrated Gubio town in Gubio Local Government Area. Only just returning from their US Tour, the Okoye Brothers arrived to luxurious gifts. 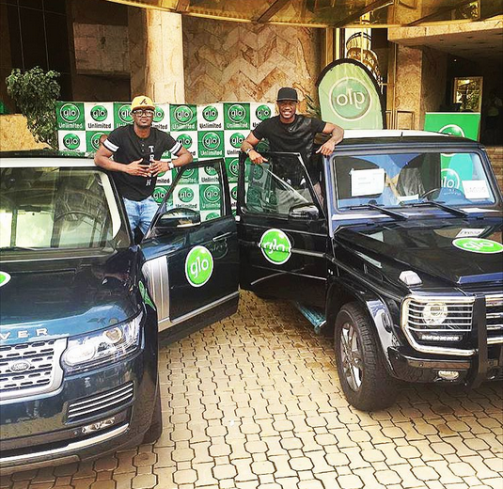 Glo has gifted their long term ambassadors, Peter & Paul Okoye with expensive cars. Peter was gifted with a 2015 G Wagon while Paul was gifted with a 2015 Range Rover. African football leader Issa Hayatou on Thursday took temporary charge of FIFA after Sepp Blatter was “relieved of his duties” because of his 90-day suspension, the world body said. Another suspected Boko Haram sponsor, Aliyu Hussaini, who has also been parading himself as a military brigadier general has been arrested. The Nigerian Army in a statement on Tuesday said that Hussaini was arrested by soldiers of the 33rd Artillery Brigade in Bauchi State during a raid. Buhari Hails UK, Others For Backing Loot Recovery - “Switzerland And Britain Have Been Helpful In The Recovery Of Our Assets. President Muhammadu Buhari yesterday applauded the renewed support from Britain and Switzerland towards recovery and repatriation of public funds stolen from Nigeria. He spoke at separate audiences with the British and Swiss Ambassadors, who were at the Presidential Villa, Abuja to present their letters of credence. President Buhari, in a statement by the Special Adviser on Media and Publicity, Femi Adesina, said British, Swiss and other foreign anti-crime agencies had already given his administration much help with relevant information and intelligence on public funds that were stolen and illegally transferred to personal bank accounts by officials of past administrations. 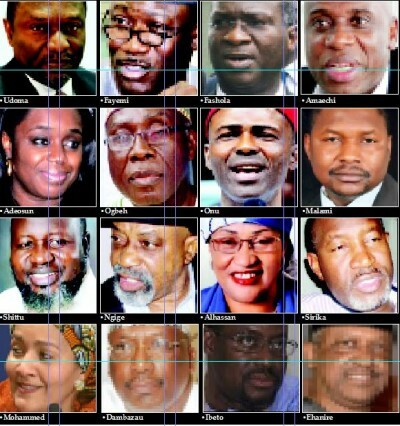 For four months, the nation was in suspense as it awaited President Muhammadu Buhari’s ministerial list. Some people have hailed the list, describing it as befitting of the country at this crucial time; others are of the view that there is no justification for the long wait as the list does not spring any surprise. Will there be change across the ailing sectors in the foreseeable future? The answer to this puzzle could be found in the composition of the proposed Federal Executive Council (FEC). The ministerial list, which was submitted to the Senate last week, was read to senators yesterday by Senate President Bukola Saraki. Predictably, opinion is divided on the list. Many stakeholders have hailed the motivation and wisdom of President Muhammadu Buhari in selecting the team of ministers and special advisers. It is his prerogative. But, eyebrows have also been raised in some quarters. Thus, the list has elicited mixed feelings. AS the Senate today, unveils the ministerial list it received from President Muhammadu Buhari last Thursday, some senators have provided insight into how the screening and confirmation of nominees would be done. Some of them, who spoke on the terms and conditions that would guide the screening at the National Assembly yesterday hinted that the upper legislative chamber would adopt stringent measures in line with the provisions of the Constitution. The senators made it clear that any list that does not cover the 36 states of the Federation will meet serious opposition on the floor. Bishop Oyedepo's first daughter Love Oyedepo and husband Stephen Ogah, who got married in 2013, welcomed their first child in September. 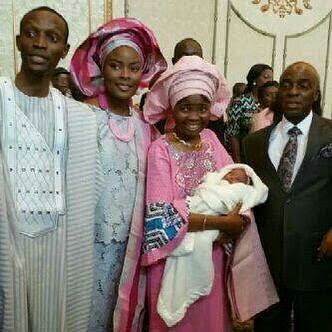 The baby named Rejoice Ibukun Lydia, was dedicated yesterday. Congrats to them. Popular musician Gospel Tungba crooner, Yinka Ayefele was this afternoon rushed to an undisclosed hospital aftermath of attacks by hoodlums in Akure, Ondo State capital Ado Ekiti where he had gone to honour the invitation of the Ekiti State government to perform at the World Teachers Day organised by the state government. A release signed by his Publicist, Mr. David Ajiboye disclosed that the versatile artiste was hit with a plank on his chest during the attack on him on Saturday in Akure. According to TheSun UK columnist, Kelvin Mackenzie, Diezani Alison-Madueke, who was arrested last Friday, was caught while trying to hide a lump sum by investing it in London's mortgage sector.